Wild Turkey Kentucky Spirit is one of three core super-premium expressions currently offered by Wild Turkey Distilling Company outside of the Russell’s Reserve product line (the other two being Rare Breed and Forgiven). Of all the super-premium WT products (including Russell’s Reserve) it’s the second-longest running at 23 years and counting. That’s pretty impressive for any standard release coming from the same distillery with little to no changes to its specs (at least on paper). Back in April of this year, I had the pleasure of tasting a 1994 Wild Turkey Kentucky Spirit “Pewter-Top.” I hate to spoil it for you if you haven’t read my review, but it was A-grade fantastic. In so many ways it reminded me of early 1990’s WT 101 8-year (incredible years for Wild Turkey). Rich, robust, and loaded with complexity – that’s how I’d describe the ’94 Pewter-Top I sampled. But there’s one very important thing to note – WT Kentucky Spirit is a single barrel bourbon. You know where I’m going with this. Each barrel is unique, and therefore, offers its own individual tasting experience. Today I’ll be reviewing a 1998 Kentucky Spirit Pewter-Top. Speaking of which, I’d like to say thank you to a fellow whiskey enthusiast for the opportunity. I’m excited to see how it compares to the 1994 WTKS and other late 1990’s Wild Turkey expressions I’ve tried. Based on the date I’m counting on some good ol’ dusty notes, but we shall see! 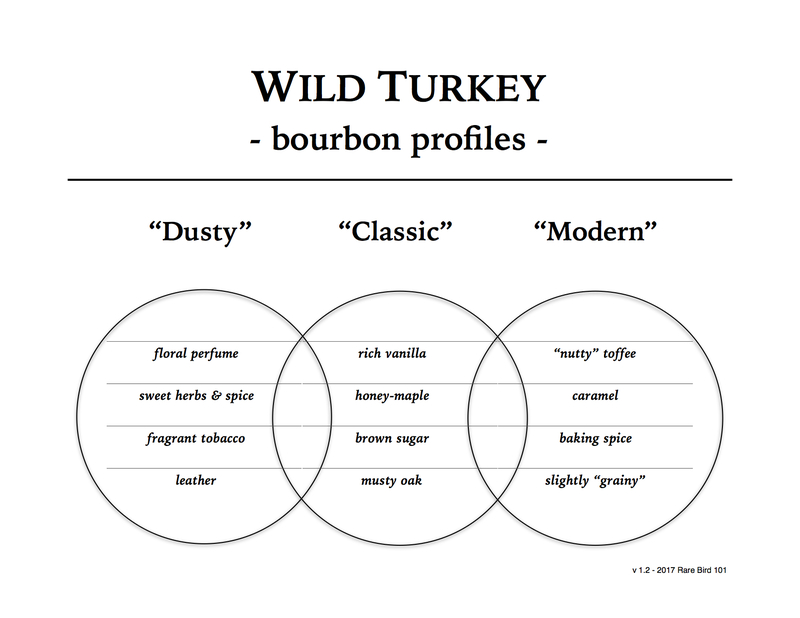 Overall: As expected, a nice dusty profile with early classic Wild Turkey character. It’s also a bit fruity, which is a trait I sometimes notice in 2000’s Wild Turkey expressions. While not as robust and tobacco-laced as the 1994 Kentucky Spirit I sampled (I even did a brief SBS comparison), this 1998 remains an excellent bourbon whiskey on its own. It’s hard to say if the four years of production difference played a roll, as they’re from entirely different barrels (regardless of release year). The profiles are definitely unique enough to tell apart. That said, this 1998 is well-balanced and notably complex over modern WTKS bottles (different whiskeys, really). It’s just hard to beat the dusty and classic WT profiles. As for a grade … it’s sometimes difficult to judge these old single barrels – especially in comparison. They can be so distinct, yet each of high caliber. If I had to choose between the 1994 WTKS (4-C-19) and the 1998 WTKS (1-E-1), I’d go with the ’94. I just love that super-rich and robust (almost port-like) profile that it carries. But then, sometimes I’m in the mood for a more fruity Wild Turkey, and in those times this ’98 truly fits the bill. Fruity and dusty? Sign me up! Thinking about cracking my lafeyette, I could send a sample along for a review. Let me know. Well kind internet stranger, I assume you mean the super rare export 101/12 from ’90 or so? Oh, that would be a treat! I’m assuming it will taste about like ’89 BD or ’90 CGF, so the extra rarity is likely in the packaging. Something to consider before breaking the seal. If you do decide to pop the cork, please send me an email to let me know how it turns out!